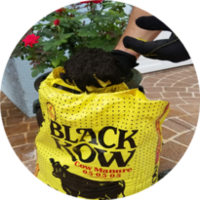 Black Kow Is The Premiere Problem Solver For Your Lawn and Garden! Provide moisture holding capacity to sandy soils. Black Kow® cow manure holds water and nutrients in the soil around the roots. The roots can use the water and nutrients when needed instead of letting the nutrients leach through the soil. Provide aeration and moisture holding capacity to hard, clay-type soils. Black Kow® cow manure helps break up those soils so that water and nutrients are available to the plant when needed. Give your plant's roots the optimum environment in which to get started. Black Kow® cow manure contains millions of beneficial microbes. These microbes convert nitrogen and other nutrients into an easily available form for the plant. It is organic and contains nutrients that are released slowly without burning tender roots. These nutrients and moisture are held in the soil around the roots until the plant needs them. Here's our latest video about the "Science" behind every bag of Black Kow. 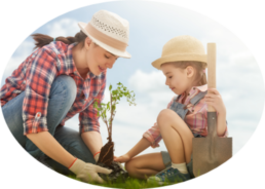 Get a healthy start in all your lawn and gardening projects. Black Kow® in your raised plant beds will ensure your success. 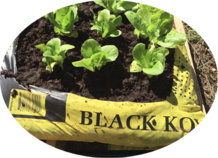 Tilling your plant beds with Black Kow® makes your soil much healthier. 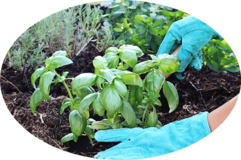 Give your herb garden a healthy beginning with Black Kow®. Your roses will thrive when you add Black Kow® to the soil. Grow great butterfly plants with Black Kow®.